Azerbaijanis for centuries have been known as a nation of poetry lovers. A stroll through the center of Baku reveals nearly two dozen statues honoring literary figures from the 12th century to the present day. But what is happening with contemporary literature? Has the legacy of great writers continued? Are writers thriving or merely surviving? Are new themes and new forms emerging? These are the questions we wanted to explore in this issue. Azerbaijani classical writers such as Fuzuli, Nizami, and Nasimi are relatively well known so we deliberately have not dealt with them in this issue. Admittedly, we've only barely touched on the contemporary issues. Because of restraints of time and space, we haven't even mentioned numerous contemporary writers that are very important such as prose writers like Anar, Elchin, Chinghiz Abdullayev, Yusif Samadoghlu and the Ibrahimbeyov brothers - Maqsud and Rustam (see AI 3:2, 8, Summer 95), as well as poets like Bakhtiar Vahabzade, Zalemkhan and others. Nor have we dealt with any Azerbaijani writers and poets across the border in Iran such as Shahriyar. No literature is ever created in a vacuum, isolated from the consciousness of the past-Azerbaijani literature is no exception. We've tried to touch upon some of the repressiveness that Soviet writers experienced and how they tried to maintain their integrity. You'll catch glimpses of such difficulties in the interviews with critics and writers (see Talibzade, Vurghun, Javid, Ahmadli, and Shikhli). Azerbaijan did not have dissident writers during the Soviet period according to Vagif Samadoghlu, who is a poet himself as well as the son of Vurghun, one of Azerbaijan's foremost poets. Only Moscow and Leningrad were able to "produce" dissident writers because they had access to foreign embassies and international journalists. "If we had tried to protest, no one would ever have known because officials would have 'found' drugs and illegal foreign currency in our apartments." Since Azerbaijani writers couldn't be dissidents, many of them secretly began tucking away poetry and prose for a future day. For some writers, these manuscripts are slowly being pulled out of drawers and cabinets and being dusted off shelves. But an entirely new set of obstacles greet their efforts of getting published. The greatest difficulty is economical - a problem which permeates every aspect of life during this transition by all former Soviet Republics into a market economy. No longer does the government pick up the tab for printing. No longer are authors paid according to the number of pages they produce. In many cases, authors have to pay for the printing themselves and the imported paper makes the process exorbitantly expensive. Life is not as conducive to concentration and creativity as it once was because these days many writers are obliged to take on two or three jobs just to survive. But there are other complexities as well, including a major shift in language usage, transition to a new alphabet and changes in readers' interests. Now with independence, there is a gradual shift away from Russian - subtle, but at the same time, perceptible. It's probably accurate to say that the direction has finally been set, favoring Azeri to become the "prestige language" in Azerbaijan. Officially replacing Cyrillic with a modified Latin alphabet has further complicated the literary effort. Typewriters don't exist with all the new alphabet letters, and computers with their interchangeable fonts are not in widespread use. Consequently, since so little has been published in the new alphabet, very few Azerbaijanis are completely comfortable with reading it. This in turn, makes publishers hesitate to invest in publishing the new script, so it becomes a vicious cycle, yet to be broken. Not so long ago, I was browsing in a bookstore in Baku looking for new books published in the Latin script (they're still quite rare except for small works for children). One finally caught my eye. I pulled it from the shelf, opened it and was surprised to find all Cyrillic text inside. The shopkeeper explained, "We're in transition. Maybe next time, the text can also be printed in Latin. This time, they just did a new cover." Alphabet transitions aren't new to Azerbaijanis. This is the fourth time this century that the alphabet has been officially changed: first, from Arabic script to Latin (1929) then to Cyrillic (1939) and now back again to a slightly different version of Latin (1991). (See AI's entire issue, "Alphabet Transition", September 1993, Vol 1:3). Now Azerbaijanis are beginning to write about their own sufferings in the context of their own history - not the Soviet interpretation of it. This includes historical novels, short stories and poetry describing the Soviet takeover in the 1920s, the Soviet army attack on Baku on January 20, 1990, the war with Armenians over Karabakh, and the subsequent dislocation of one million refugees. Today is clearly a period of introspection and re-evaluation of works written during the Soviet period. Fortunately, Azerbaijanis are not dumping writers simply because they happened to have lived during that era; except for when a specific writer produced only propaganda that served the state. Emphasis in schools used to be on Russian writers. More and more, Azerbaijanis are studying native writers. Works are being re-read and re-evaluated for their artistic merits, not political ideology. New categories, never before imaginable, are being examined. "Repression in Literature" explores the works of Azerbaijani writers who were killed or exiled during the Soviet period such as Almas Yildirim, Mikhayil Mushfig, Mammad Amin Rasulzade, Ahmad Javad, Hussein Javid and others. "Emigration Literature" examines the works of those who fled the country before or shortly after the Soviet takeover. "Literature of Southern Azerbaijan" introduces Azerbaijani writers in Iran, such as the great poet, Shahriyar. (See AI 1:3, 28. 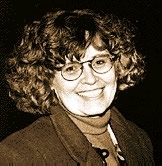 September 93). A new literature is beginning to emerge in Azerbaijan though it's still embryonic in form. But the process needs support from the international community if it is to flourish. Azerbaijan needs "Patrons of the Literary Arts" just as they've needed "Patrons of the Performing and Graphics Arts." 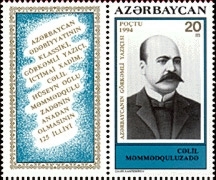 Three avenues should be supported: the printing of Azerbaijani writers into Azeri, as well as the publication of translations both to and from Azeri. So few works have yet been translated into foreign languages, with the possible exception of Russian and Persian. This is where Azerbaijanis living abroad can contribute greatly by identifying and translating works into the languages of the respective countries in which they are living. It will be a great day for Azerbaijani writers, for Azerbaijan as a nation, and for humanity as a whole, when deserving works from contemporary Azerbaijani pens are also included in the volumes that make up the world's greatest and most cherished collection of literary works. And why shouldn't such a day not come?! From Azerbaijan International (4.1) Spring 1996.